Beautiful glossy coasters depicting the Seed of Life sacred geometry, with colorful celestial imagery. Dr. Masuru Emoto's famous water experiments proved emotions and intentions alter the molecular structure of water. As you infuse your beverages with the frequency of what you want to create, you begin to entrain to these frequencies which alters your consciousness, and ultimately your physical reality. Try it and see! You can also use the design as a yantra to gaze at during meditation. 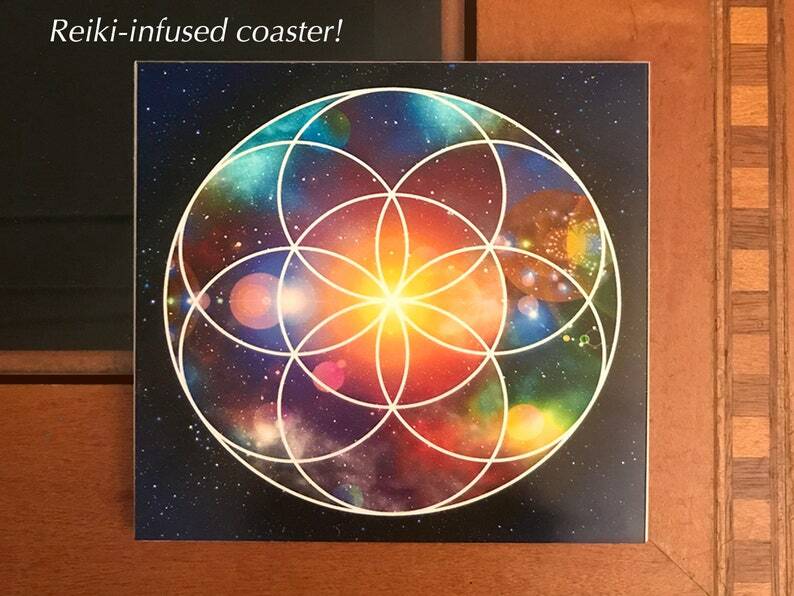 These coasters have been infused with Reiki energy to raise your vibration & consciousness.